For the harmonious development of the baby, not only educational toys and books are suitable. Many parents miss an important moment. Namely - walking in the fresh air, which is thus the right key, preserving the lock of immunity and helping to cope with any diseases. Moreover, outdoors children can have fun playing with different play structures, creating in their head whole fantasy worlds, developing their imagination. Therefore, take your children to playgrounds so that they could fully develop it. These days, you have so many opportunities for equipping such sites. You can purchase and install your own, modern and safe design. 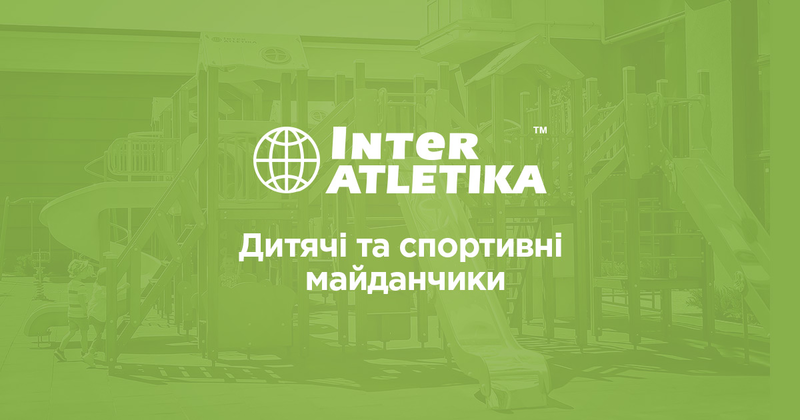 A whole range of such products is presented in the InterAtletika online store. The game complexes of the Fairy Forest series are a perfect choice for those adults who want to take care of their children's future and do everything for their successful life. In our catalogue, there are various modifications of grounds that consist of sophisticated details. Therefore, we will help you find the right one for your place, age and depending on the preferences of the children. All products have affordable prices since high-quality domestic production allows you to set your prices, even in conditions of competition in the market. Since large structures are designed for a big number of children, you can install them both on a free playground spot or a backyard. And then, if you invite your dear friends with their children to you, they will have something to do while you are discussing boring adult stuff. You will be the owner a genuine paradise for children with numerous pieces of equipment for games. Decorative elements also play an important role and ensure the proper level of a child's development, help his logical thinking. Elements are installed not only for aesthetic reasons but also for improving physical and mental skills. Since these products are designed for children, they comply with modern quality standards. This means that in the production process only environmentally friendly materials are used, which children can interact with 24 hours a day. This is an essential condition since the health of children depends on it. The design of the products is performed in compliance with safety terms. A chance of injuries due to ill-designed parts is unacceptable. With the goods of our store, you will be assured of safe future of your kid, who will grow a considerable and successful adult!